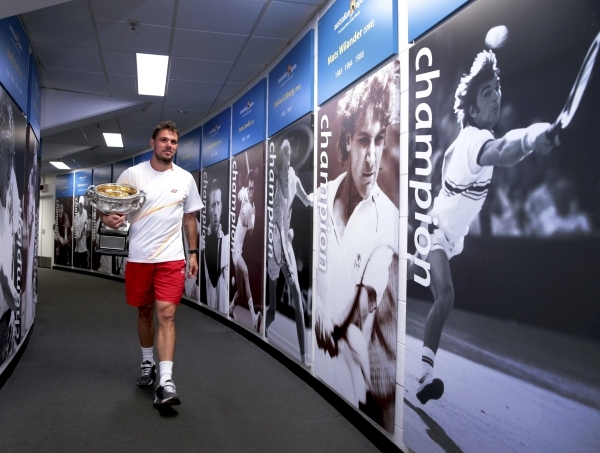 A few random thoughts and grades on Wimbledon. The idea that this is an amazing comeback, after a year away with foot injury and then illness, is hard to argue with. But I always thought she was going to win the tournament anyway. She’s great. The rest of the tour is not. Two statements are being made here. The question is this: Which is the more amazing comeback? 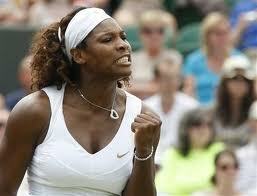 Williams’ or Kim Clijsters? FRENCH OPEN: Maria Sharapova Double-Faults away her Chance Again, Loses to Li Na. Will She and her Serve ever Come Back? It was match point against Maria Sharapova, and everyone knew what was going to happen. The service box is 21 feet deep, 13½ feet across, and there was no way she was going to get her serve over the net and into that big box. It must look like a postage stamp to her. After the first serve was out, Li Na could have walked off the court, shaken the chair umpire’s hand and sat down. There was no way Sharapova would get that second serve in. It happened, of course. Sharapova tried to put a little spin on the serve to control the ball, but she can’t do that. Instead, her arm slowed. . .way. . .down. . .mid-swing, and the ball went into the net. 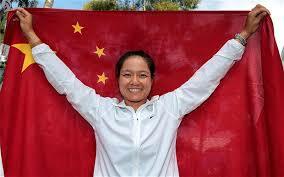 Li won 6-4, 7-5 Thursday to become the first Chinese woman to reach the French Open final. She’ll play defending champ Francesca Schiavone Saturday. 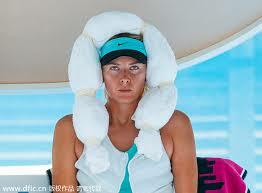 Sharapova hasn’t reached the final in her past 11 majors, since winning the 2008 Australian Open. She beat Ana Ivanovic that day, and women’s tennis had to be in heaven with a future looking bright and highly marketable. Since then, Sharapova and Ivanovic have totaled zero major finals, but countless swimsuit fashion shoots. But this isn’t to rip into Sharapova. Oracene Price, mother of Venus and Serena Williams, has not tweeted in six days. I wanted to make sure I was the first to report that news. It is clear she’s embarrassed and angry by what she had tweeted before the women’s final of the Australian Open. It’s clear she hates Clijsters. People wrote to Price on Twitter, complaining that it was clear she’s racist against white people. Price also made some sort of comment comparing Clijsters to Medusa, clearly stating she thinks Clijsters is funny looking. Look, the truth is that nothing is clear here at all, possibly not even to Price. This was a study in modern media and in Twitter itself. There is an entire Twitter world, and it’s unclear what it even is. It means different things to different people. Tennis moms can use it in varying states of consciousness. Media types are using it mostly to try to stay on top of the game, and also to give instant analysis.